He has a kind nature and authoritative tone. He speaks with skepticism and a hint of an English accent. His name is Keith Scales and he may be the last person you would expect to find directing ghost tours at the famous Crescent Hotel in Eureka Springs. The Crescent Hotel was built in 1886 and sits overlooking the Victorian village of Eureka Springs, Arkansas. Widely acclaimed to be “America’s Most Haunted Hotel” the Crescent has a rich, recorded history. You could call it a mecca for ghost hunters and serious paranormal investigators. Much of the hotel’s haunted history stems from a period in the 1930’s when a man named Norman Baker acquired the Crescent Hotel and opened a hospital. He promised a non-surgical cure for cancer. Unfortunately, the Baker cure would not save the lives of many of his patients. Stemming from years of fights with the American Medical Association and numerous other issues, Baker would be judged a charlatan and end up in jail. 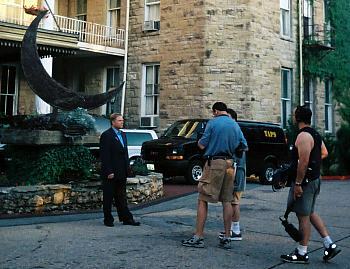 The Ghost Hunters of TAPS arrive at the Crescent Hotel to shoot a television segment. The Crescent Hotel owes its reputation to historical documentation and in no small part to the televised investigations and aired stories on popular shows like the Scifi Channel’s TAPS and Biography Channel’s My Ghost Story. (Read the story behind the story of Biography Channel’s My Ghost Story.) The hotel also keeps a database of photos submitted by the guests who stay at the Crescent Hotel. 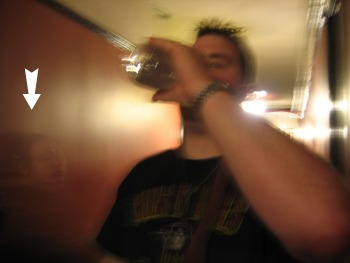 See the ghost photos guests have submitted and read about the Crescent Hotel ghosts in the news. Visit America’s Most Haunted Hotel now. Crescent Hotel ghost tours take people to the basement of the hotel and leads them back to the morgue, (built in the 1930’s and still intact). The history learned on the tour will make you wonder whether the medical methods used here were introduced before their time and based on unlocking the power of the human brain to heal or just nonsense? It is an area of investigation to this day. America’s Most Haunted Hotel hosts such investigations every January during ESP Weekend. It is an opportunity for those who believe in paranormal activity to gain full and exclusive access to the most famous sites within the hotel. For those who have a curiosity, it is a chance to explore one of the country’s most intriguing historic structures and learn about current trends in parapsychological investigation. Whether ESP Weekend attendees come armed with a camera, video recorder, or more sophisticated scientific equipment, they all discover a thrilling and entertaining weekend. Photo taken by guest of the hotel. The arrow points to what appears to be a face in the wall. You only have to turn on the TV to realize pop culture’s fascination with the paranormal. From SciFi to Biography to the Travel Channel, each network has its own version of ghost hunters and psychics investigating legends and unexplained occurrences in front of the camera. This is more than just a passing fad. • Telepathy: Transfer of information on thoughts or feelings between individuals by means other than the five classical senses. • Precognition: Perception of information about future places or events before they occur. • Clairvoyance: Obtaining information about places or events at remote locations, by means unknown to current science. • Psychokinesis: The ability of the mind to influence matter, time, space, or energy by means unknown to current science. • Near-death experiences: An experience reported by a person who nearly died, or who experienced clinical death and then revived. • Reincarnation: The rebirth of a soul or other non-physical aspect of human consciousness in a new physical body after death. • Apparitional experiences: Phenomena often attributed to ghosts and encountered in places a deceased individual is thought to have frequented, or in association with the person’s former belongings. Keith Scales, Director of the Crescent Hotel Ghost Tours and organizer of ESP Weekend in Eurkea Springs. Keith Scales is the director of the wildly popular Crescent Hotel Ghost Tours. In fact Keith is the key to the Crescent Hotel’s ESP Weekend. “I love history and Shakespeare,” he confessed. A writer, actor and director, Keith moved from London to America when he was 26 years old. Passionate about Greek dramas and theater he found a home in the artistic town of Eureka Springs. His love of history makes him a valuable asset to the Crescent Hotel. 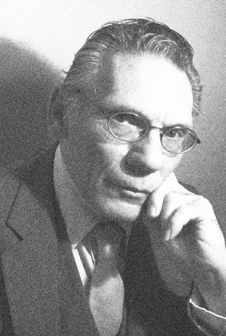 Relentless research of one of the Crescent Hotel’s famous owners, Dr. Norman Baker, led Keith to eventually write and act in the hotel’s newest attraction, Midnight Theater. Keith’s endlessly inquisitive (and skeptical) nature has landed him coordinating ESP Weekend for 2012. “Just because we can’t explain or understand something does not mean that it does not exist,” he answered when asked if he was a believer in ghosts. It is one of the most interesting preoccupations in human history…to explain the unexplained. If you are intrigued by parapsychology and want to investigate one of America’s most reportedly active historic properties then consider attending ESP Weekend or visit AmericasMostHauntedHotel.com. The 1886 Crescent Hotel, a member of the prestigious National Trust’s Historic Hotels of America, is also known as America’s Most Haunted Hotel. Whether you believe in ghosts or not, you will enjoy the Crescent Hotel. This mountaintop resort hotel has a lot to offer as does the entire little mountain town of Eureka Springs, Arkansas. Check availability for ESP Weekend. Stay 1 night or 2 nights. The Crescent Hotel offers nightly tours and ghost stories. Get ghost tours tickets and other great Eureka Springs attraction tickets online. Do you belong to an association or group? Bring your group or meeting to Eureka Springs, a unique place for conventions and meetings. 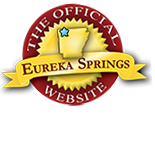 Discover Eureka Springs lodging, restaurants, shopping and more on the Official Website for the Greater Eureka Springs Region. We recently rented the main house at 66 Center Street. We had some very bizarre things happen. Does anyone know the history of this home and if there is anything supernatural associated with it? Possibly! 66 Center Street is located on the site of the Historic Perkins Homestead & Mill. The Perkins family is responsible for the building & design of many of the historic sites around Eureka Springs. Here is a link for the History of 66 Center Street. This entry was posted on December 30, 2011 by estcblog in Crescent Hotel, Ghosts, History, Things to Do and tagged America's Most Haunted Hotel, Arkansas, Eureka Springs, Ghost Adventures, Ghost Hunters, ghosts, historic downtown, historic hotels, history, My Ghost Story.